History Archives - Read. Think. Act. (June 2017) This book is a great reminder of how life is not a perfect arc. The greatest takeaway for me is that we must embrace paradox. “It was the best of times, it was the worst of times.” The opening line of A Tale of Two Cities was written by Charles Dickens in 1859. It could describe many years in many cities from then until 2017. We tend to fall into the trap of seeing the world in terms of “either/or” – it’s all great or it’s all terrible. Realistically, it’s never all one thing or the other. We lose sight of that reality because we are not wired to embrace the paradoxical nature of many situations that ask us to see both the darkness and the light simultaneously. This book was originally published in 2004 with additional updated chapters added in this 2017 audio edition. It’s a reminder of what life was like after 9/11, the global nature of the Iraqi War Protests, and how people reached out to the victims of Hurricane Katrina. There was great tragedy followed by moments where “citizens” found a way to come together as an empowered force for good. 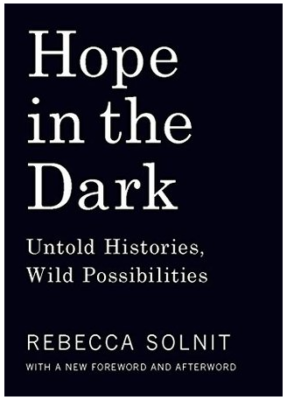 Author Rebecca Solnit points out that we are overly focused on “regime change” as the answer to social and economic justice issues. She goes global in her examples of how CULTURE change is the most lasting of change and is not dependent on who is in power in any particular government. Often, people driven change is a reaction to an oppressive regime – it galvanizes disparate groups to come together in a way that makes their unified efforts a force to be reckoned with. She gives concrete examples of how environmental activists in the western part of the United States found common ground with ranchers who despised them. It turned out they had overlapping interests on which they could work together. It took sitting down face-to-face, person-to-person, to overcome stereotypes and objectification of “otherness” to see how their alliance could serve each group’s agenda for protecting the environment. This book is the needed antidote to the despair many feel as they wake up each day in a dramatically altered America. We cannot embrace despair. Doing so assures that we give up our personal power to affect change. As Alice Walker pointed out years ago, “The most common way people give up their power is by thinking they don’t have any.” That is the battle we must fight each day. I highly recommend this book. It shifted my paradigm in a positive way and reminded me we have seen great challenges before and we have experienced great victories. The minute “change” becomes our “new normal” we lose all memory of how we got there. Solnit wisely points out that if we are going to build monuments, they should be built to constantly remind us of what people can accomplish and HOW they accomplished it. We should not forget the journey in celebrating the outcomes. Life *is* the journey. 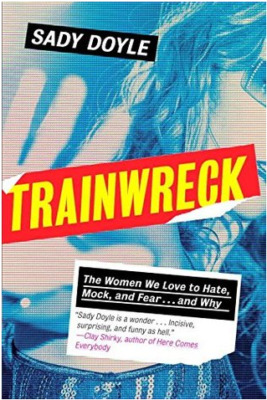 (Jan. 2017) Trainwreck: The Women We Love to Hate, Mock, and Fear… and Why is a fascinating book. It gives context – historical context – to well known “trainwrecks” from Mary Wollstonecraft, Charlotte Bronte & Sylvia Plath, to Billie Holliday and Marilyn Monroe, right up to Amy Winehouse, Britney Spears and Lindsay Lohan. Here’s the thing: What they have in common is they are remarkable, talented and accomplished women. We look at them and want to believe they must somehow be “flawed.” It makes me think of how people believe that poverty is also a “character flaw” and not situational or circumstantial. We should just be able to fix what’s wrong with us and then we would know success and acceptance! 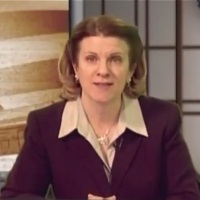 Sady Doyle has done a great job in her historical research. I was fascinated to learn about some of these women whose life stories I was unfamiliar with. She also draws a common thread from the 17th century to the 21st century to show the similarity in how women are viewed – by the media, in the context of the social norms of the day and always through the lens of impossible standards. One of the most interesting chapters is about Hillary Clinton and Monica Lewinsky. This book is not an academic endeavor. I believe her research is credible and adds so much to the subject she’s trying to illuminate. But at the end of the day, it’s meant to be a contemporary work about where we are right now and the women and stories that are making headlines. This book is meant to shift our paradigm – to show us the commonplace hostility toward women through a different plane of the prism. Doyle does a good job with that. I highly recommend the book. In fact, I recommended it to my oldest daughter and she loved it! It is time well invested. We need to consider more thoughtfully the signals we are sending to every generation of girls who become women. 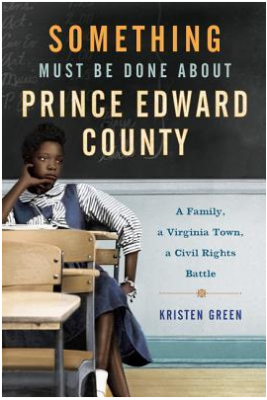 (Aug. 2016) I decided to read this book after I saw that the author, Karen Branan, would be at Fall For the Book at George Mason University in September. It is a great follow up to two previous books I recently finished – The Warmth of Other Suns and Just Mercy. The author was born and raised in Georgia and her grandfather and great-grandfather were Sheriffs there. 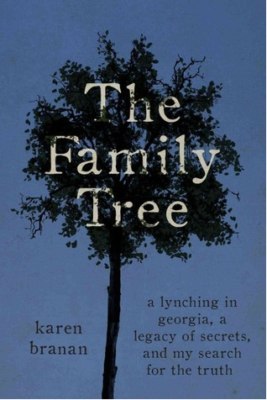 In searching for more information about a story her father had told her about accidentally killing a young black woman in Hamilton, GA, she instead stumbles on the story of a lynching that took place there on Jan. 22, 1912. Her grandmother had mentioned the lynching in passing some years earlier, but it wasn’t until she started interviewing her extended family back in Georgia that she understood her Sheriff great-grandfather might have had a role in it. The book is well written, which is not a surprise since the author is a journalist by profession. For those who have done some genealogy, following the many families and family members will likely not be a distraction from the story. I’ve seen other reviews saying the cast of characters is hard to follow and made it difficult to follow the threads of relations and family connections. This is truly an integral part of the story she is telling – the family relationships both acknowledged and unacknowledged that ran across the racial spectrum of black and white.